For the first blog of the New Year I’d like to reinvigorate an old idea. MBWA (Management by Walking Around) is rather taken for granted these days, as is often the case when a good idea becomes cliché. So to reinvigorate the importance of talking with your staff, I’d like to introduce MBTA, ‘Management by Talking About…’. 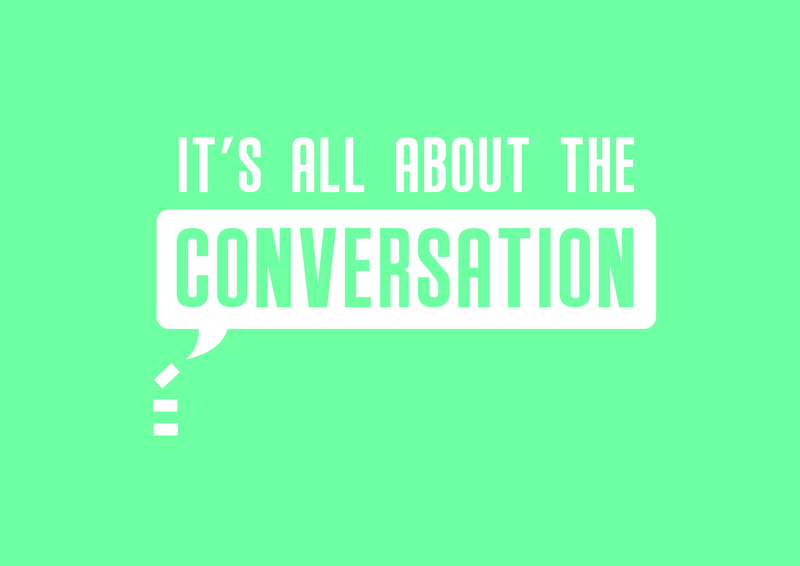 Given that time is precious the emphasis here is on purposeful conversation and I want to offer four valuable conversations to have with your staff, rather than just chatting about the weekend football scores or last night’s TV. Not a household name in Europe and America I admit, but he was awarded “Hero of the Soviet Union” in the early battles of 1941 and the quote has remained with me ever since I first read it, and was brought to mind recently while reading Richard Sennett’s’ excellent book ‘Together’. Sennett writes about ‘earned authority’ as one side of a ‘social triangle’ (the other sides being trust and cooperation), which he identifies as the key ingredient in successful organisations and communities. Sennett takes authority to be power endowed with legitimacy, with legitimacy defined as voluntary obedience. In war this means that soldiers will follow orders to fight knowing that it may lead to their death. This is an extreme example, and in civil society legitimacy is better framed in terms of laws people obey just because they seem right. In organisations, therefore, the leadership test for legitimacy, and thereby authority, is: will your subordinates obey you even though they might get away with disobeying? Like Provalov, Sennett argues that how a leader earns that legitimacy usually has more to do with small behaviours and exchanges than with any formal right or entitlement to rule. Earned authority concerns more than formal position or technical competence, it involves open dialogue with subordinates rather than rigid dictation to them. In other words, for authority to be legitimate, people who are asked to obey have to feel like they have a voice, that if they speak up, they will be heard. So how should you encourage them to speak up, what should you talk about? Here are a four suggestions for purposeful conversations. Make delegation easier – use conversations to establish trust. Delegating tasks to employees and then trusting them to make decisions for themselves can be difficult. It is easier to delegate to those you trust. You can build that trust by having conversations with your employees, observing them doing their daily jobs, and providing feedback. That way, when it comes time to delegate a task, you’ll better understand your employees’ strengths and weaknesses and know who is ready to take on more responsibility and who needs more experience or coaching. Make People on Your Team Feel Like They Belong. It is well known that fostering a sense of belonging helps reduce stress levels, and consequently improves physical health, emotional well-being, and performance. So build that sense of belonging by soliciting people’s input. Ask their opinion, and follow up with questions so they truly felt heard. Tell stories to show your own vulnerability and share your mistakes and successes. This will also help you connect emotionally. Determine whether a direct report is ready to be a manager? Measure their potential by gauging their interest in managing. Ask them what they believe management entails and what their approach would be in situations you are facing or have faced. Inquire about any experience they’ve had outside of work that could provide useful preparation. Have they been in charge of an athletic team or a group of volunteers? Seek out the opinions of their co-workers, who will have a unique perspective on whether the person is up to the task. It may also be worth considering how widespread such conversations are in your organisation. How might other leaders do a better job of managing by having purposeful conversations? Why not have a wander around and find out. Homophily and propinquity are shaping your organisation… whether you like it or not! Happy with that? Try a Short Quiz and Learn How to Be More Creative This Christmas! Mike Peckham on What can you learn from Airbnb, Uber and eBay?